Since we’re dedicated to vetting Democratic Party nominee Hillary Clinton, perhaps the most evil person ever nominated by a major party for the highest office in the land — something, by the way, the so-called “mainstream media” won’t do — we thought it important to remind you of something she said at the 2015 Women in the World Summit. There, she informed Americans that they must change their religious beliefs to suit her, especially on issues like abortion. Her comment sparked a flurry of criticism. Writing at The Blaze, Susan Calloway Knowles, a licensed psychotherapist and former practicing family law attorney, said Clinton was clearly taking aim at Christians in America who do not agree with her views on abortion. Powers hit the nail square on the head. Aside from displaying a stunning bit of hubris, Clinton revealed her true desire – to dictate every aspect of the lives of average Americans, including their religious beliefs. 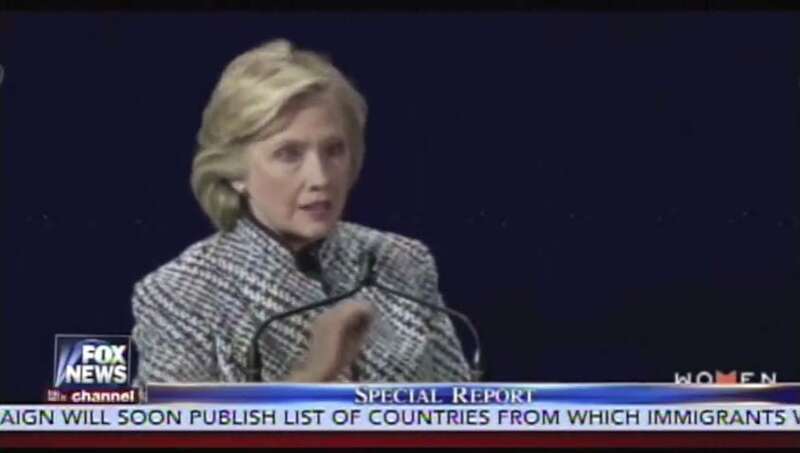 In a paid speech before the New Jersey chapter of the American Camp Association, former Secretary of State Hillary Cinton (sic) told the audience that America really needed to implement camps that adults could attend. Hilary Clinton announced that we must change our deep seated religious beliefs. More fundamental change?